Facial aging is inevitable however, the specific time signs begin to occur and their severity are different for everyone. 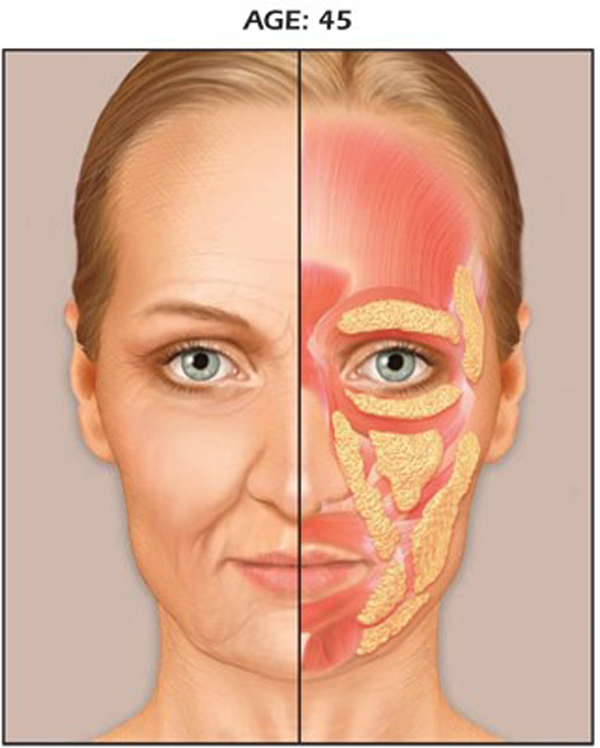 Genetics, lifestyle and environmental exposure all play a part in the process of facial aging. Early adaptation of daily use of high SPF UVA/UVB sunscreen and a targeted daily skin care routine can aid in prolonging some signs of aging. However, in general, thinning of skin, loss of collagen and bone density begin to occur in the mid to late 30’s causing loss of elasticity, sagging skin and wrinkles. 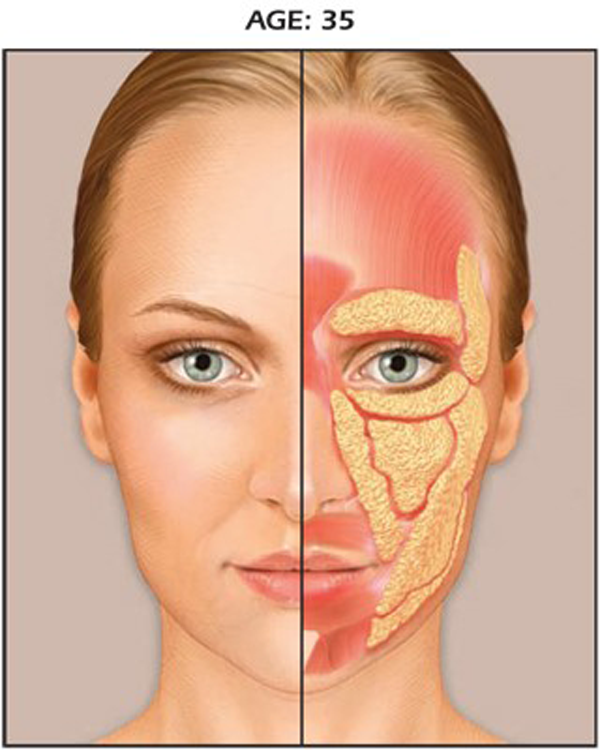 In addition, studies that include facial scanning have revealed a number of different fat pads located within the face. In the mid to late 30’s lipoatrophy or facial wasting can begin to occur due to redistribution and/or loss of this diffuse facial fat creating hollowness and concavity of cheeks, temples and eye sockets. 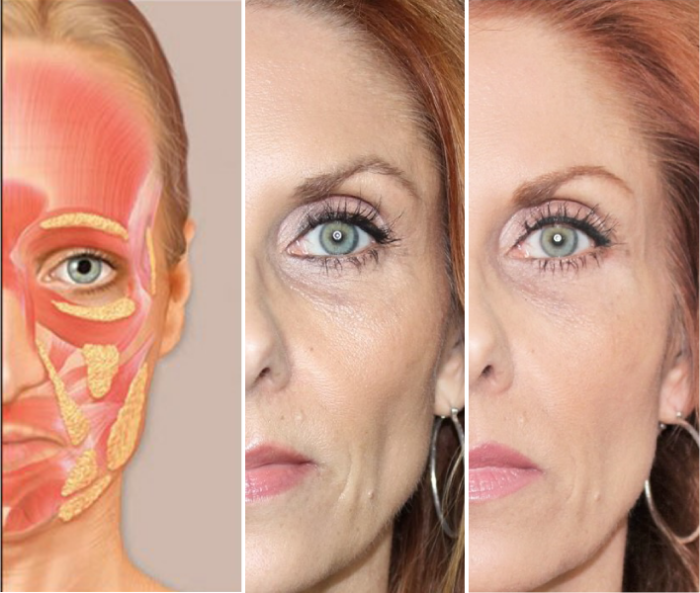 Loss of fat from the cheeks also becomes noticeable in the nasolabial folds which are also referred to as smile lines or marionette lines. A dermal filler is a soft tissue filler that is injected into the skin to fill-in or plump a specific area. Dermal fillers can be synthetic material or derived from natural sources. Most dermal fillers provide immediate correction or plumping of a line or wrinkle that lasts for a period of several months. 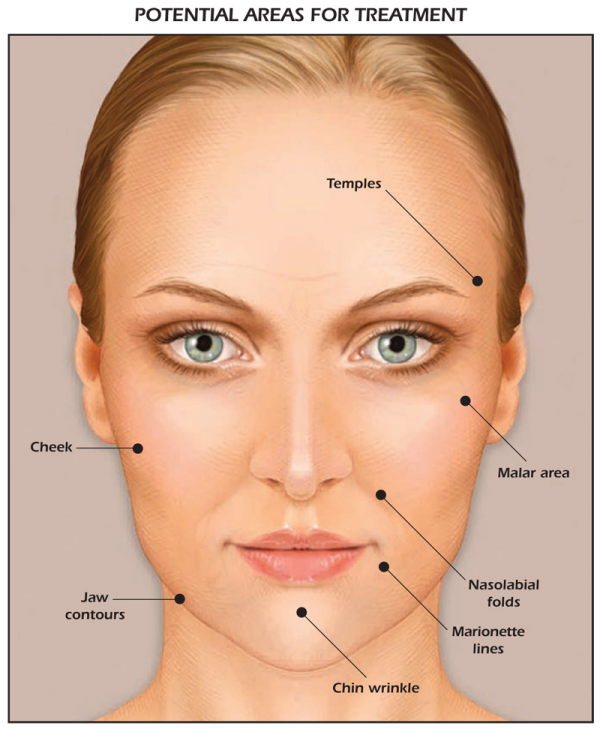 There are different types of dermal fillers designed to best address a specific sign of aging. **It is important to note that all dermal fillers are not approved for use in treating EVERY sign of aging.